April 6, 2015 April 19, 2015 Asia C.
Passover began this past Friday, which means no bread for me until next Saturday night. No bread, no pasta (or noodles of any kind! ), no rice, no beans, no corn, no baked goods no…actually wait I think I got it all. 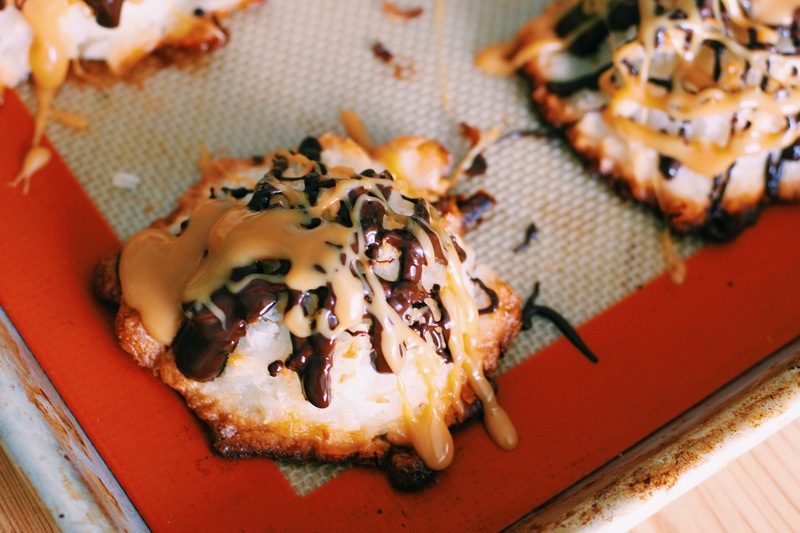 All of these lovely foods that normally comprise a fair portion of my preferred diet (see previous post) fall into this category of chametz, which refers to anything leavened and/or grain-based. Instead, there’s cardboard matzah, an unleavened “bread” product that pays homage to how the Jews did not have enough time to wait for bread to rise when they were busy escaping slavery. In case it wasn’t apparent from my description, I’m not the biggest fan of matzah (unless it’s the Shmurah kind that tastes kind of like a super crispy, crunchy, extra thin brick oven pizza crust). So my strategy for surviving Passover this year is to just avoid matzah altogether for as long as I can. I thought it would be a challenge, but it’s turning out to not be too bad so far. Then again it’s only been 3 days…here’s a little glimpse at what I’ve noshed on so far. Potatoes are a Passover savior, so I included one in my first chametz-free brunch. 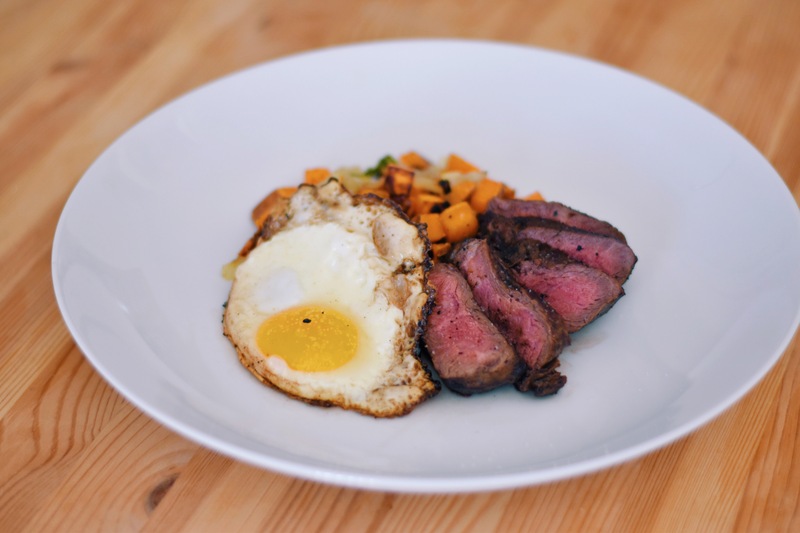 A sweet potato, to be exact, and in the form of sweet potato-jalapeño hash as an accompaniment to steak and eggs. 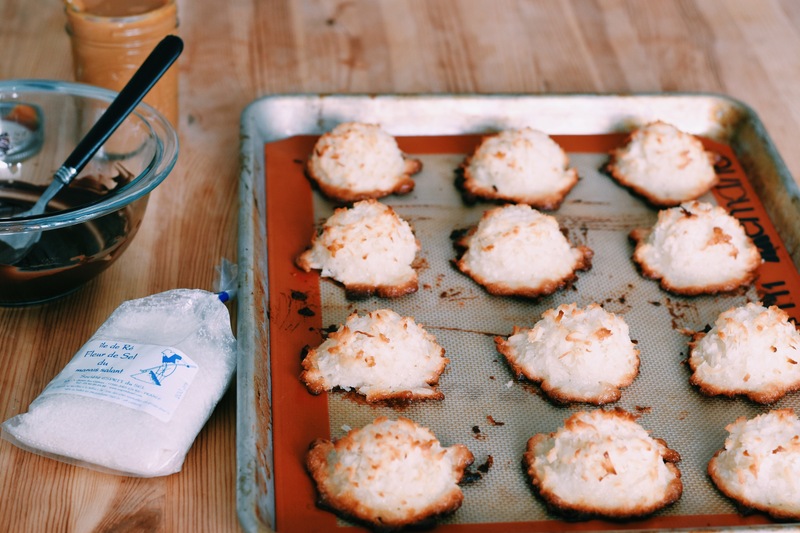 Not to be confused with the French macarons I was busy eating just a few short weeks ago, coconut macaroons are a Passover staple. 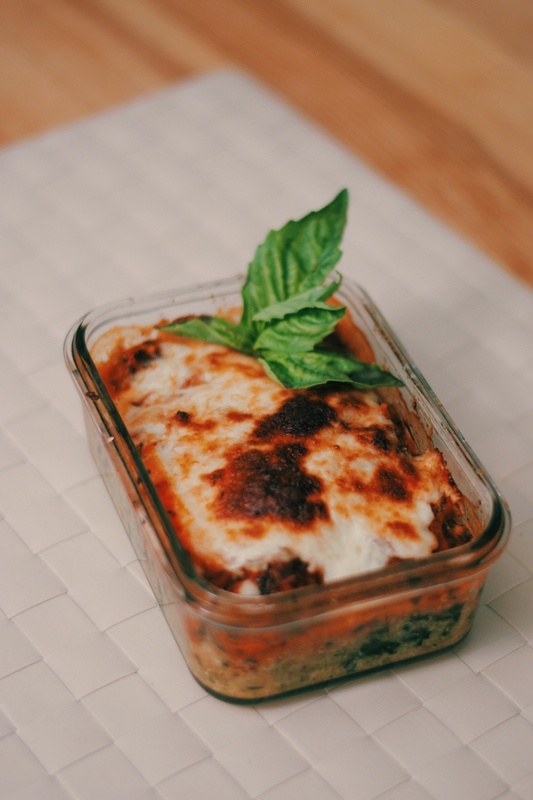 I’ve never actually made my own, but they’re super easy! They’re just egg whites, sugar, coconut, and vanilla. I followed-ish this recipe. 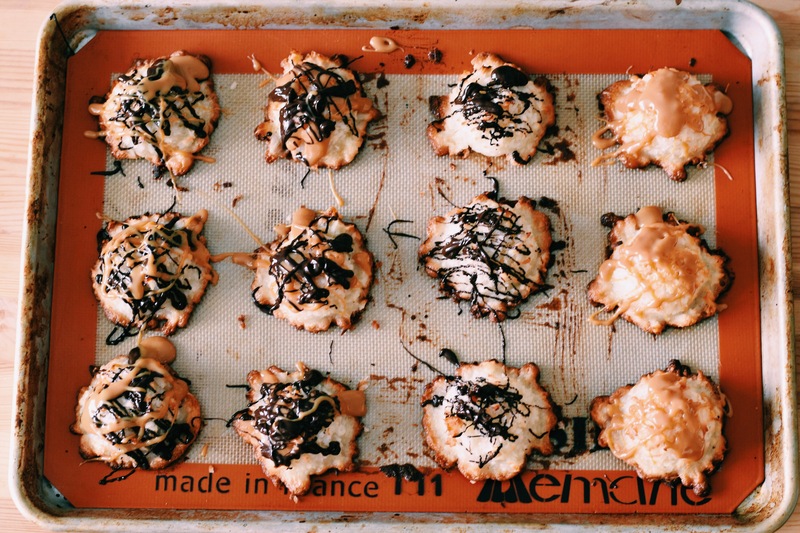 And then I went Jackson Pollock on them with some dark chocolate and homemade dulce de leche and a few sprinkles of fleur de sel that I brought back from my Paris adventure (I miss it a little…okay fine a lot). Being that matzah is one of the driest substances known to mankind, I figured it would work as breading for chicken. And chicken parm is the best way to eat breaded chicken, so that’s what I did (I swear the it’s buried in there under the sauce and cheese). And since no pasta, quinoa instead. 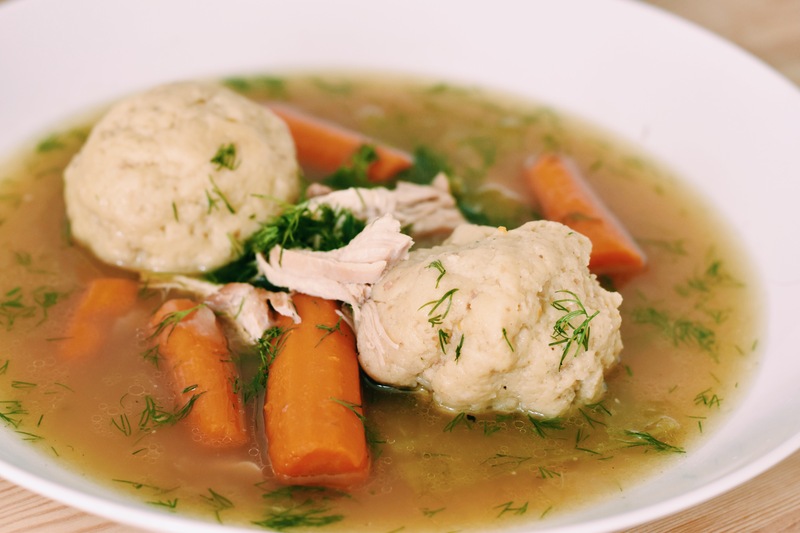 I’ve already expressed my enthusiasm for soup, but no Passover would be complete without matzah ball soup. It does, after all, feature the star ingredient of the holiday. And I will obviously use any excuse to make/eat more soup. I guess this really isn’t going to be all that difficult, so I’ll stop kvetching…for now.